On Day 24 of the federal shutdown, with no end in sight, offers of help for workers not receiving paychecks are multiplying. As the partial government shutdown drags into a fourth week, members of the community are stepping up to help federal employees affected in Massachusetts. Pauli’s on Salem Street in Boston’s North End offered free lunch to federal workers and their families Monday. Owner Paul Barker posted the offer on social media and received thousands of responses. 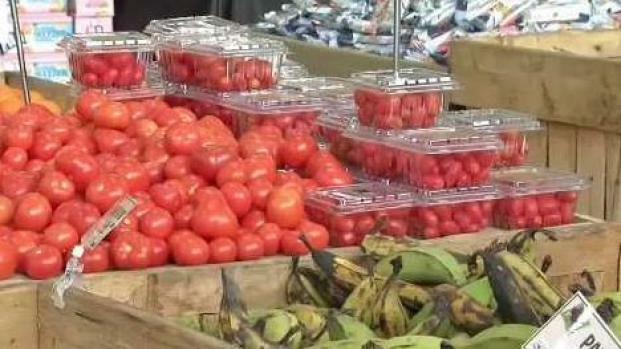 The four largest food banks in Massachusetts are scheduled to meet to discuss how to respond to the partial federal government shutdown. A North End resident who has been an employee of the National Park Service for 45 years took him up on his offer. She is one of the thousands of workers furloughed during the shutdown. Other businesses are also posting offers for complementary goods and services on social media. The British Beer Company is giving families one free meal worth up to $50 at all Massachusetts and New Hampshire locations. Roller Kingdom, with locations in Hudson and Tyngsborough, is offering free admission to furloughed workers and their families. All offers require nothing more than a valid federal government ID. Helping families across the state affected by the shutdown is part of the reason why shelves at some food pantries appear a bit empty. At Interfaith Social Services in Quincy, they are busy helping families get through the longest government shutdown in history. The demand for resources at their facility has already doubled over this time last year. 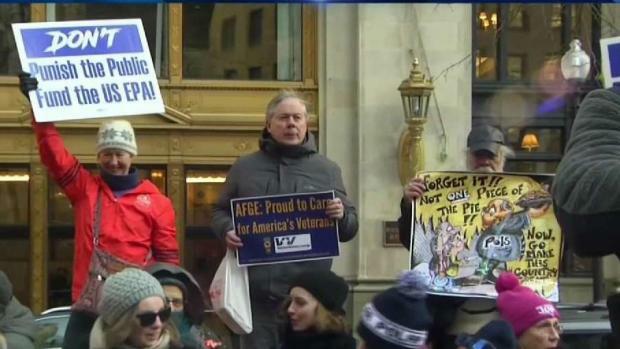 With no end in sight for the government shutdown, federal workers are calling for paychecks. They said they are mostly seeing families worried their SNAP benefits will be impacted. Some have already reported issues with the benefit system while shopping at local supermarkets. The facility is making an appeal for more donations to try and keep up with the demand. The Massachusetts Military Support Foundation is making the plea for more donations too. They are running food pantries called “empowerment centers” on two United States Coast Guard bases in Massachusetts. The Coast Guard is the only branch of the military not being paid during the shutdown. 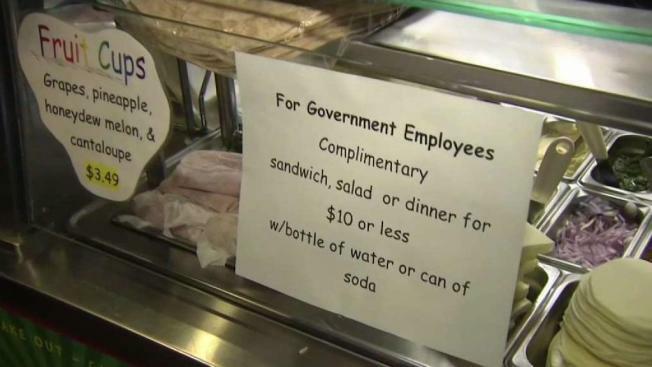 Meanwhile, Falmouth Public Schools are offering free breakfast and lunch to students of federal workers. They join several national companies offering debt relief to the 800,000 federal workers who haven't received a paycheck since 2018. President Donald Trump went to New Orleans on Monday as Congress returned to Washington. The president has flipped back and forth between declaring a national emergency in order to build a $5.7 billion wall along the U.S.-Mexico border, which Democrats refuse to fund. We look at some of the top business stories of the week with Boston Globe Business reporter Jon Chesto and Boston Business Journal Editor Doug Banks. In this segment we cover the ongoing federal government shutdown; new plans for the Massachusetts Turnpike; the National Grid agreement; Boston’s courting of Amazon and the Bezos' divorce. The current shutdown is already the longest in modern U.S. history.